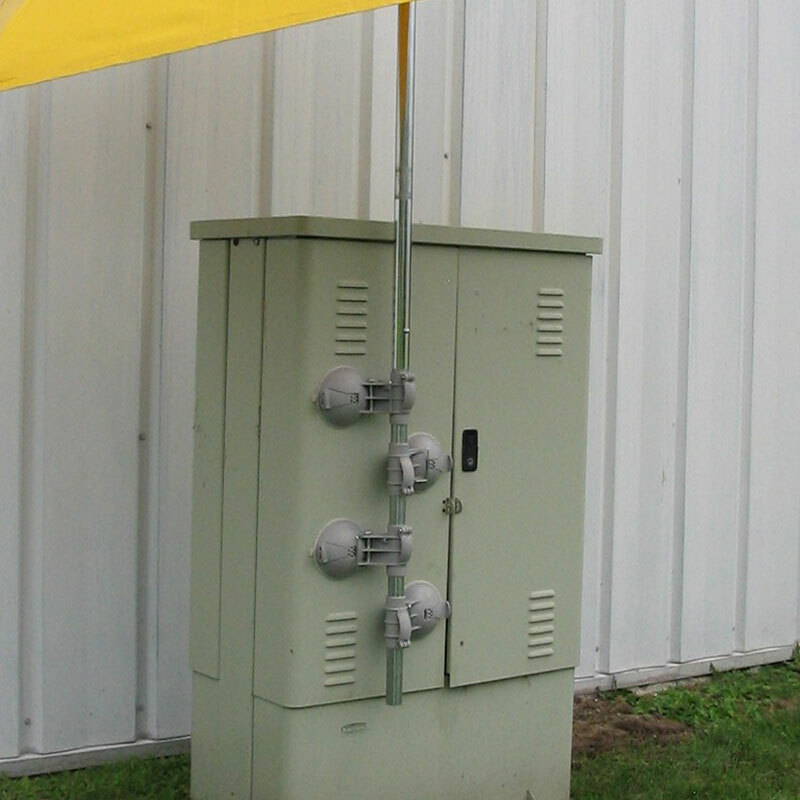 The Kool Klamp Utility Shade is a safe and secure, outside plant, rain, or shade umbrella. 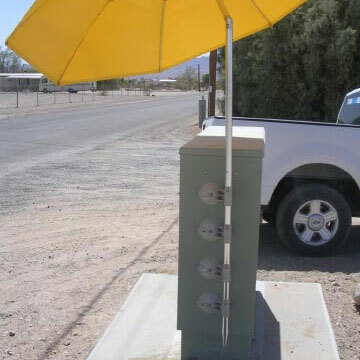 Kool Klamps utilize powerful suction to hold the umbrella. Install easily and can be used on cabinets, vehicles, or any smooth surface. 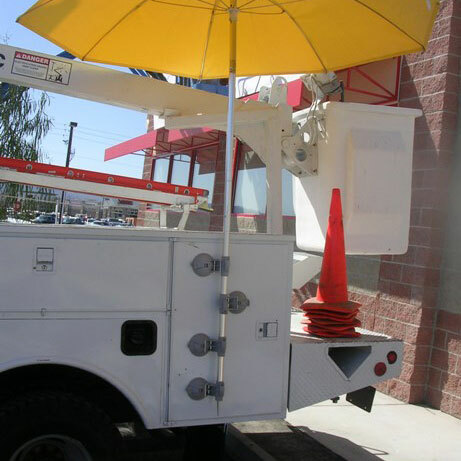 System includes 4 suctions clamps and an 84″ diameter umbrella with aluminum pole (tilt). 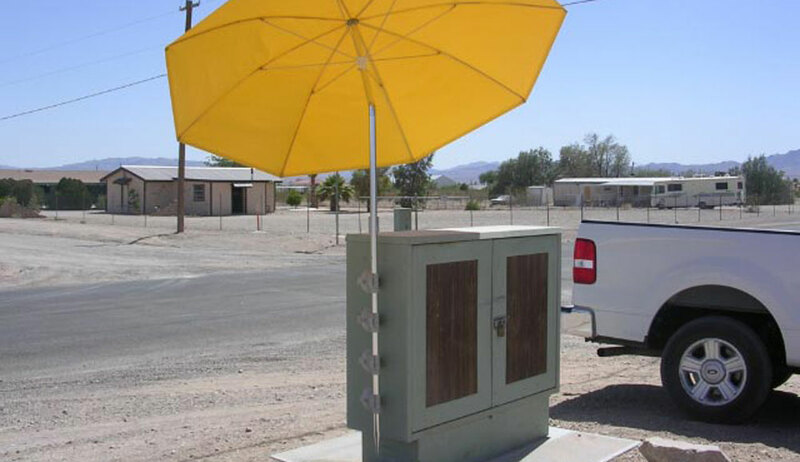 TO INSTALL: Slide the umbrella pole into the Kool Klamps. Push suction handle in, then down, to engage suction. TO REMOVE: Lift banana shaped handle, lift suction handle and then pull release tab on pad to break suction seal. Always keep pads clean. Pads can be cleaned with any multi-surface cleaner. Always wipe the surface before applying the Kool Klamps.